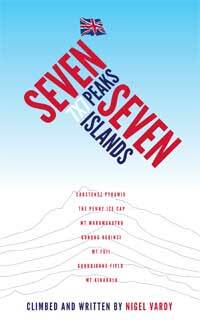 This is my second book and tells the story of my British Record Braking climbs across the world. 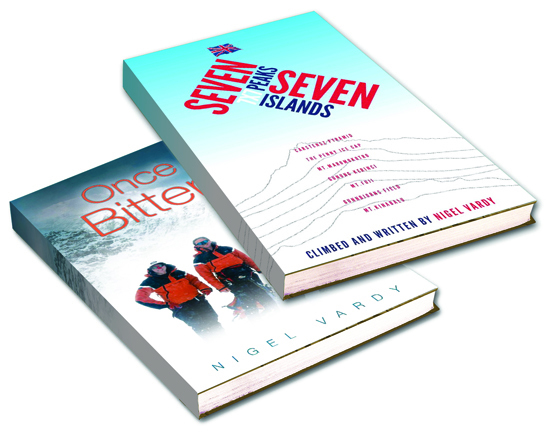 Inspired by fellow climber Jaime Vinals, I became the first British climber to summit the tallest peaks on the worlds seven largest islands. 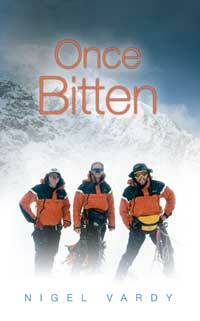 “This is an inspiring, highly-readable personal account of how he went on to climb the, highest mountains on the world’s seven largest islands, from the frozen Arctic to jungle-clad active volcanoes, despite his foot damage that would have crippled most of us. The story of my fateful climb on Mt. McKinley in Alaska during May 1999 and my recovery back to climbing. I suffered severe frostbite and was pulled off the mountain in the highest altitude helicopter rescue in North American history. The story propelled me into the media spotlight and was the subject of a Discovery Channel/Channel 4 Documentary in 2007.